Give a try to our Windows Mail to Outlook tool to migrate Windows Mail (.EML) files to MS Outlook .PST file format. EML to PST Converter easily move EML files along with e-mail properties like; To, Cc, Bcc, all dates (sent, received), subject , etc. Importing DBX into Mac Mail is now easy with SoftSpire DBX to MBOX Converter that allows users to convert dbx to mbox, then you can import the MBOX file into Mac Mail. Supports to import dbx files of Outlook Express 5.0, 5.5, 6.0. PCVARE Windows Live Mail to Mac Mail Converter to transfer Windows Mail emails to Mac Mail emails. Windows Mail to Mac Mail Converter tool to transfer windows mail to mac mail, export windows mail to mac mail , transfer windows mail to mac. Export email from Windows Mail to Outlook by using convert Windows Mail to PST software in easy step. Our Windows Mail to PST Converter tool easily converts Windows Mail eml emails into PST format in accurate way. E-Mail Notifier - it is an easy-to-use e-mail client which checks your mailbox for new messages. Application minimizes to the system tray. Notification of a new letter is displayed as a pop-up window with brief contents of the letter. Professional Windows Mail Converter tool to easily convert Windows Mail to Outlook. Access your Windows Mail, Windows live Mail emails to Outlook 2010, 2007, 2003. Use Windows Mail emails along with contacts, calendars, journals, tasks into Outlook. Slicksync Windows Mail Synchronizer Pro makes it easy to synchronize your Windows Mail contacts and mail to a local, network or removable drive! Try the hot Vista Mail to Outlook Converter tool for the Vista Mail Outlook import export process along with complete e-mail Meta data (to, subject, date, time, etc), attached files, email folders, etc. Migrate from Eudora to Windows 7 Mail with email attachments, message flags, original dates from sent items, to, cc, bcc, subject, formatting. Supports batch conversion feature to convert Eudora to Windows 7 Mail. Supports Eudora 5.0, 6.1, 7.0, 8.0. GMX Mail to Google Apps email migration becomes easier using PCVITA Express Migrator for Google Apps software. Download the free installer for testing and evaluation purposes plus get the support of 50 mails migration at a time. Smart Vista Windows Mail to Outlook program to perform the task of Vista Mail to Outlook import export method in easy and simple means. Software easily helps you to move Vista Mail to Outlook in batch importing mode at a time. Now transfer Windows Mail to Outlook PST format using the technically-advanced Windows Mail to Outlook Converter software, a creation of Birdie Software. 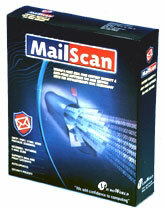 Windows Mail EML 2 PST tool simply converts mails with all its information's intact. Try the most downloaded program to export thunderbird to windows mail, windows live mail, outlook express including all email attachments, formatting, meta data (to, cc, bcc, date, subject). Export Thunderbird to Windows Mail in batch mode.